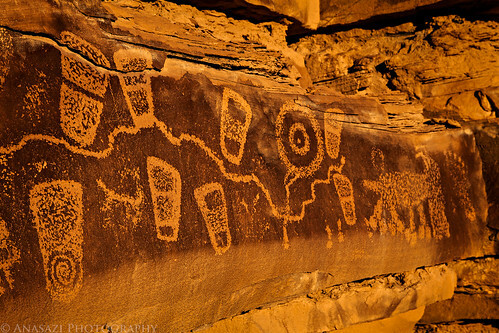 Warm sunset light illuminates a petroglyph panel full of different kinds of footprints. Most of them appear to be sandal prints, although there is a bare footprint all the way on the far right side of the panel. There’s even concentric circles and zoomorphs thrown in for good measure.